Unleash your fun side with this pair of hairy cotton-blend short crew socks. 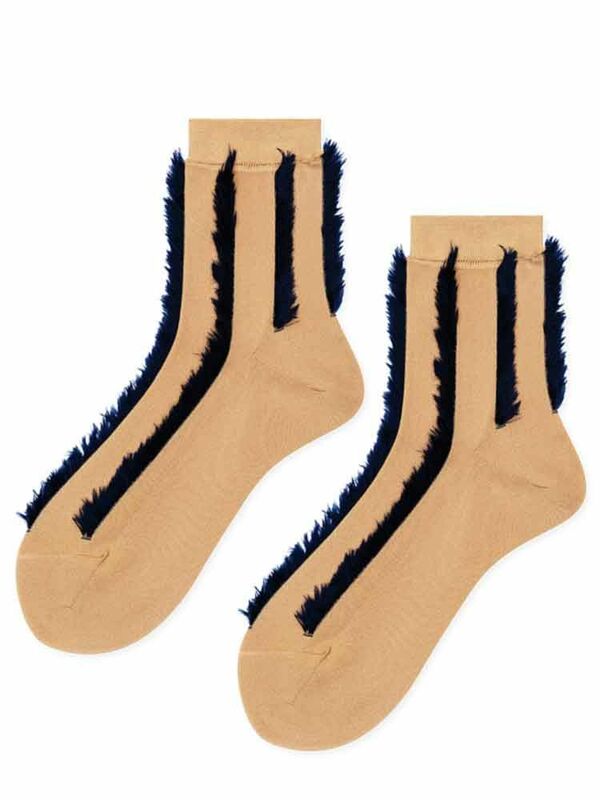 Socks composes of 75% cotton, 20% nylon, and 5% elastine. Colour - beige with contrasting black hairy threads for detail. Made in Japan.